What would you think of someone who said, “I would like to have a cat provided it barked”? The common desire to achieve or create great things provided it’s something that can be easily willed or wished is precisely equivalent. The principles of behavior that lead to great accomplishments are no less rigid than the biological principles that determine the characteristics of cats. Consider, for example, the life of Vincent Willem van Gogh. 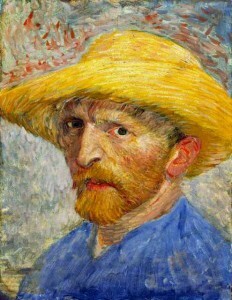 He is generally considered to be one of history’s greatest artists and had a far-reaching influence on 20th-century art. His artistic accomplishments are not an accident, not a result of some easily magic trick or secret, but a consequence of his nature to work persistently on his art every day. He revered “the doing” in art. He wrote about his hard work many times to his brother Theo. In a letter he sent Theo in 1885 he stated that one can only improve by working on your art, and many people are more remarkably clever and talented than him, but what use is it if they do not work at it. He received mild encouragement from his cousin, Anton Mauve, who supplied him with his first set of watercolors. Mauve was a successful artist and gave Vincent some basic instructions in painting. Their relationship was short-lived, however, as Vincent was incapable of receiving criticism of his art from Mauve. Mauve even went to Vincent’s father and told him it would be better for Vincent to stop attempting to be an artist and find another occupation that better suited his talent. 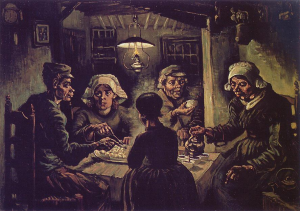 It was then that Vincent unveiled what art critics label as his first “masterpiece,” The Potato Eaters. He turned himself into an artist by acting like an artist and going through the motions by turning out mostly bad innumerable rough sketches, day and night. It was very difficult at times, but he believed nobody can do as he wishes in the beginning when you start but everything will be all right in the end. Each day he made every effort to improve because he knew making beautiful paintings meant painstaking work, disappointment and perseverance. In the end, Van Gogh produced 2000 works of art between 1880 and 1890 (1100 paintings and 900 sketches). That’s 4 works of art a week for a decade, and he didn’t start making art until his mid twenties. Van Gogh taught me to commit myself to a desire and go through the motions of working toward accomplishing it. His advice was if you do nothing, you are nothing. You must keep working and keep working come what may. Even when your final goal is not clear, the goal will become clearer and will emerge slowly but surely, much as the rough drawing turns into a sketch, and the sketch into a painting through the serious work done on it and through the elaboration of the original vague idea and through the consolidation of your fleeting and passing thoughts on it as you work. Think of the first airplane. On December 8, 1903, Samuel Pierpont Langley, a leading government-funded scientist, launched with much fanfare his flying machine on the Potomac. It plummeted into the river. 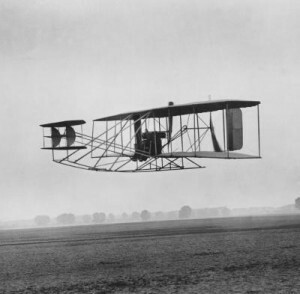 Nine days later, Orville and Wilbur got the first plane off the ground. Why did these bicycle mechanics succeed when a famous scientist failed? It was because Langley did the mental work and hired other people to build and execute his intellectual design for him. Lesson #3 Do your own work. The Wright brothers did their own work. When they were working and producing creative ideas and products they were replenishing neurotransmitters which are linked to genes that are being turned on and turned off in response to what the brain is doing, which in turn is responding to challenges. When they constantly worked on their idea and learned through trial and error, they were energizing their brains by increasing the number of contacts between neurons. The more times they act, the longer they worked the more active their brains became and the more creative they became. Their creative brains made them aware of the range of many potentials for each adjustment they built into their design. Their personal observations of the many alternative potentials led them to constantly change and modify their ideas that created the airplane. When they constantly worked on their idea and learned through trial and error, they were energizing their brains by increasing the number of contacts between neurons. I like to metaphorically compare working toward a desired goal such the goals of Van Gogh and the Wright brothers to weight lifting. If you want to build muscles you lift weights. If the weight is heavy enough it’s going to damage the muscles. That damage creates a chemical cascade and reaches into the nuclei of your muscle cells, and turns on genes that make proteins and build up muscle fibers. Those genes are only turned on in response to some environmental challenge. That’s why you’ve got to keep lifting heavier and heavier weights. The phrase, “No pain no gain,” is literally true in this case. Interaction with the environment turns on certain genes which otherwise wouldn’t be turned on; in fact, they will be turned off if certain challenges aren’t being faced. Don’t wait until everything is just right. It will never be perfect. There will always be challenges, obstacles and less than perfect conditions. So what. Get started now. With each step you take, you will grow stronger and stronger, more and more skilled, more and more self-confident and more and more successful. We are what we repeatedly do. To get a feel for how powerful the simple act of just starting something creative and working on it is, try the following thought experiment. Take out a sheet of paper and at least ten items, money, credit cards, keys, coins, etc. Your task is to create an assemblage that metaphorically represents you. In your mind, imagine an assemblage that metaphorically represents you. Do not think about the materials you have in hand. Instead think about the shape you would like your assemblage to have. What are the rhythms you want? The texture? Where would you want it to be active? Passive? Where do things overlap and where are they isolated? Think in general and overall pictures, and leave out the details. Do not think about great art; just think about who you are and what how you can represent yourself metaphorically. Now form a more specific idea of the final assemblage. As you look at the paper, imagine the specific assemblage you want to create. Make sure you’ve formed this image before you move to the next step. Place the items on the paper. Since the composing stage is already done, it’s time to bring your creation into physical existence. How closely did it come to your conception? Become a critic for the assemblage. Look at it for its own sake, independent of the fact that you have created it. Take the items off and go through the same procedures. Make the assemblage again. If you performed this exercise every day with different objects for five to ten straight days you will find yourself becoming an artist who specializes in rearranging unrelated objects into art. It is the activity that turns on the synaptic transmissions in your brain that turn on the genes that are linked to what you are doing, which is responding to an environmental challenge (i.e., the making of an assemblage).